I love this line. We don't hear much about the "electric light revolution" anymore-- but that doesn't mean we've all returned to candles. 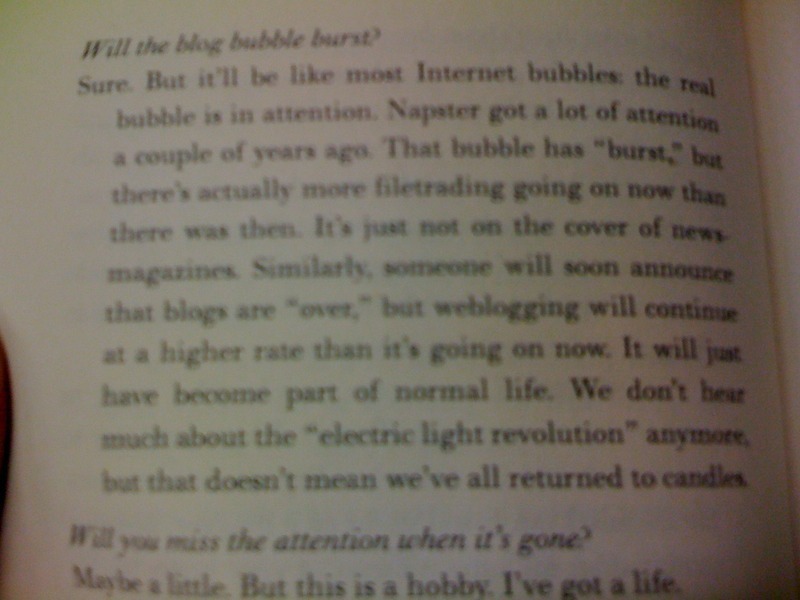 Excerpt from Biz Stone's 2004 book "Who Let the Blogs Out?" -- back when he was working with Ev on Blogger at Google. Biz was creator of Xanga, which is where I first cut my teeth blogging in a community in 2002. Before that I always wrote my own perl scripts to blog, the vestiges of with are partially memorialized in archive.org. My xanga on the other hand remains online. Had no idea we would end up building our own take on things, but we certainly stand on the shoulders of giants.